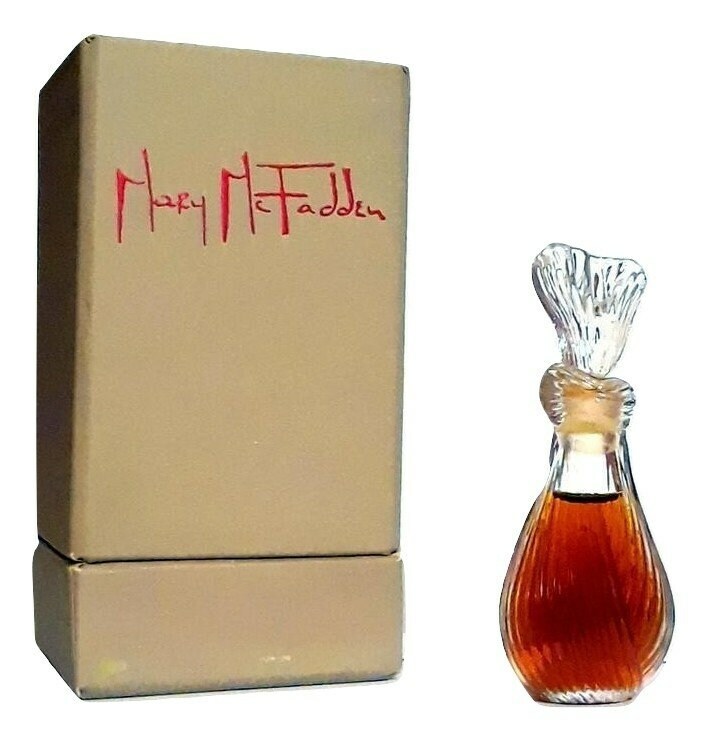 Vintage c1970s Mary McFadden by Mary McFadden 0.25 oz (7.5ml) Pure Parfum and Box. 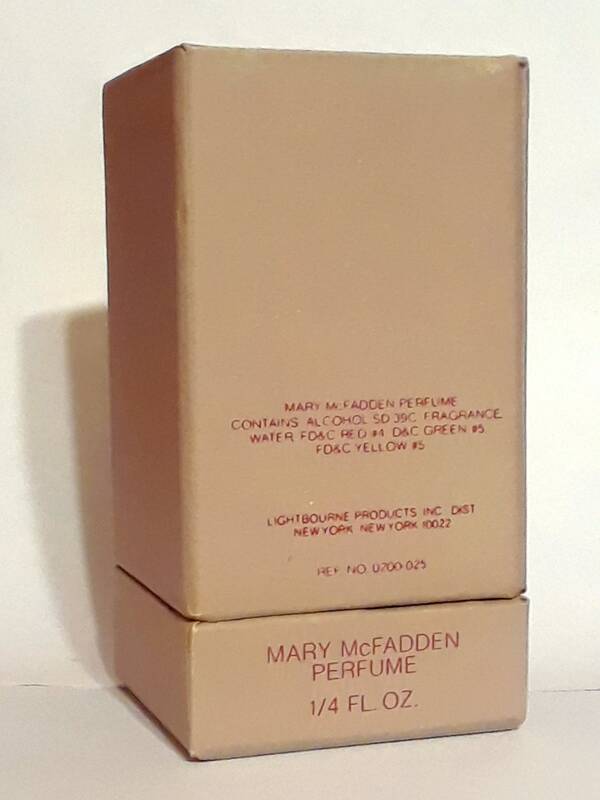 Mary McFadden was launched by designer Mary McFadden in 1979. 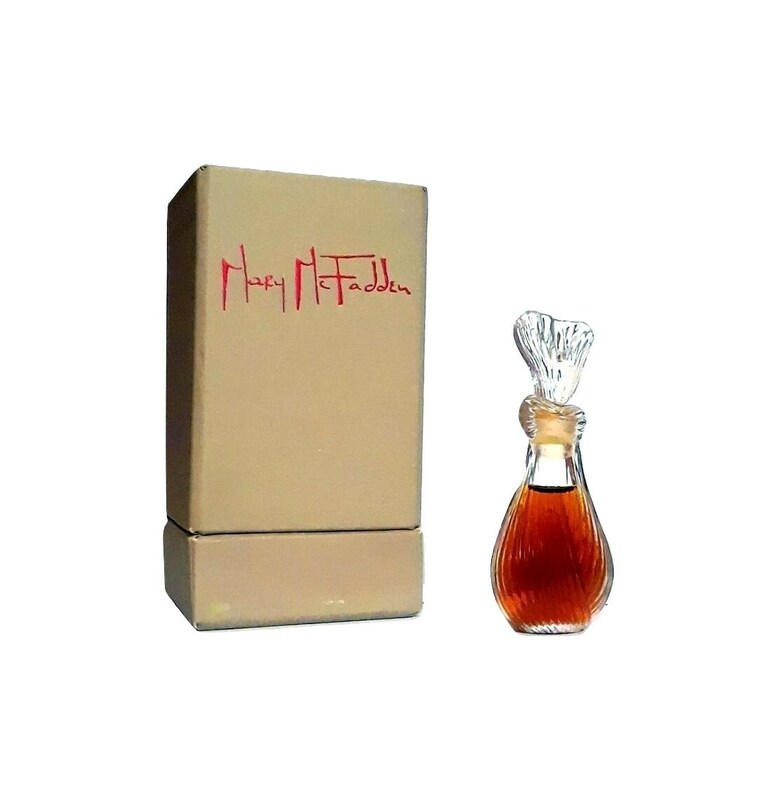 It is classified as a sharp and spicy floral chypre fragrance for women. Just as she started working on the fragrance, she went into a Burmese temple where the scent was so delicious that she made up her mind to try duplicating it. “Its as close as you can come to an aphrodisiac”, claimed Mary. With help from one of the two major fragrance manufacturers in the USA, both from NJ. The chypre fragrance was filled and packaged in the USA but its ingredients came from all over the world. 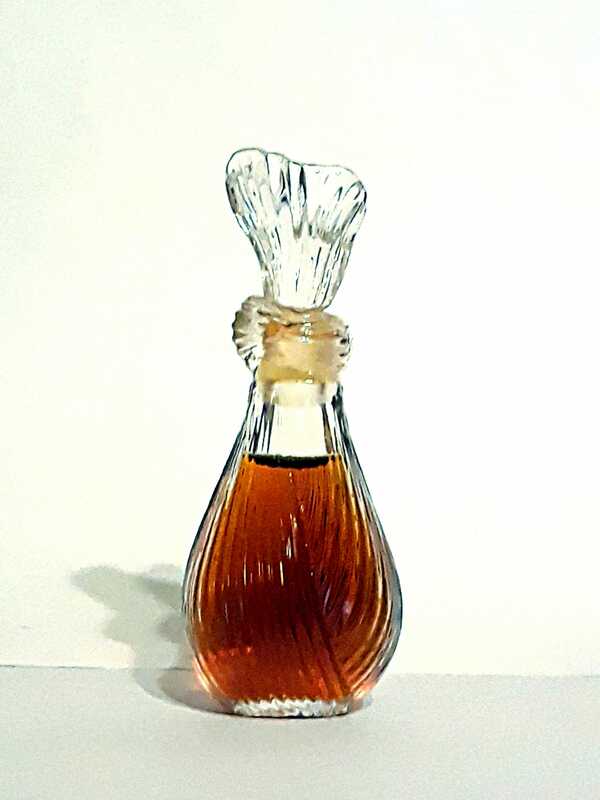 The ingredients include five different roses: from Morocco, Egypt and Bulgaria; at least four different jasmines, hyacinth, ylang ylang, a tropical plant that only blooms at night, coriander, patchouli, Indian davanna, labdanum, myrrh, sandalwood, musk and other mysterious essences which are kept a secret. 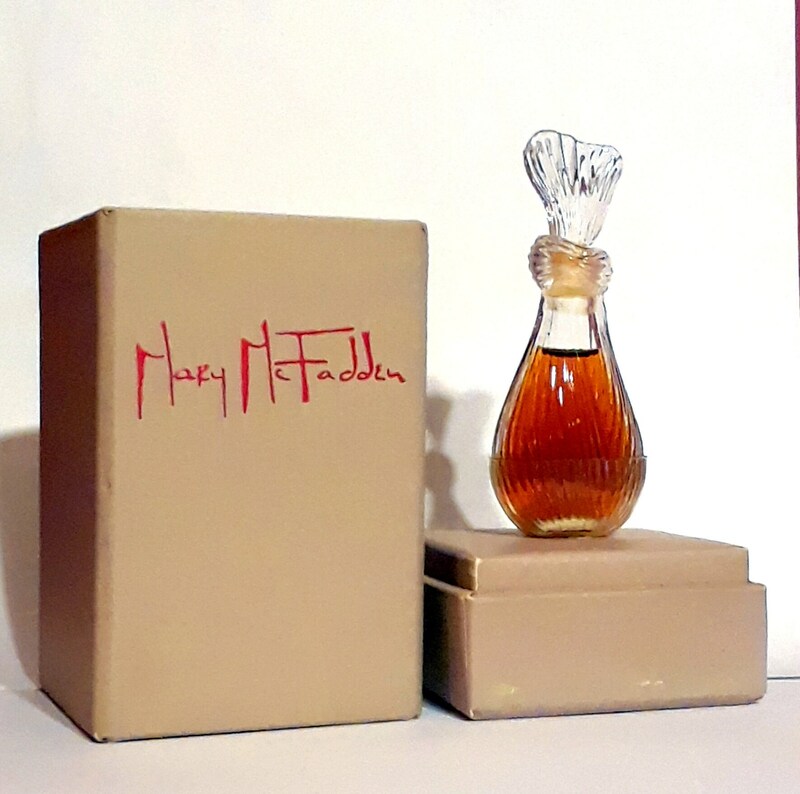 Her perfume seems to have been discontinued around 1982 and is very rare to find today as it was only available in the United States. It was never released in Europe. 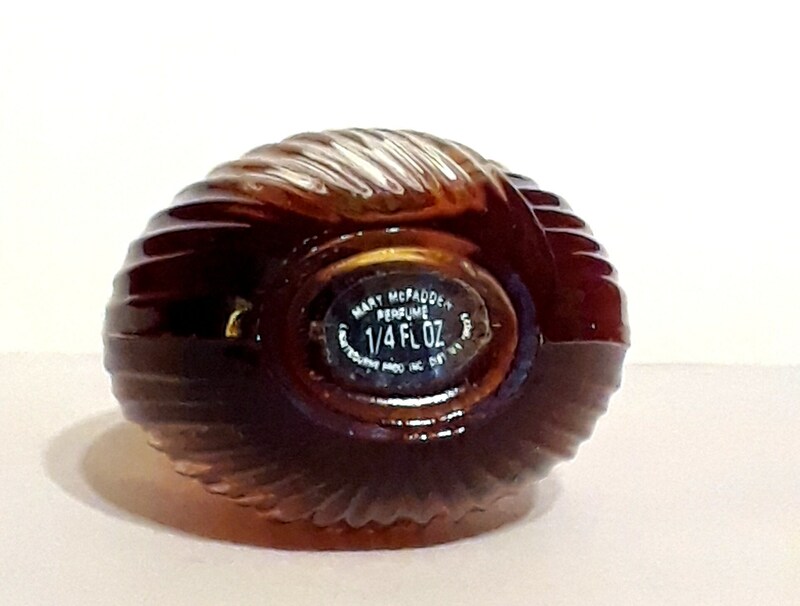 Occasionally you can find this perfume on eBay but it usually has a high price tag attached. If you are looking for a similar perfume, try Kyoto by Comme des Garcons, Incense Series or Andy Tauer’s Maroc Pour Elle.